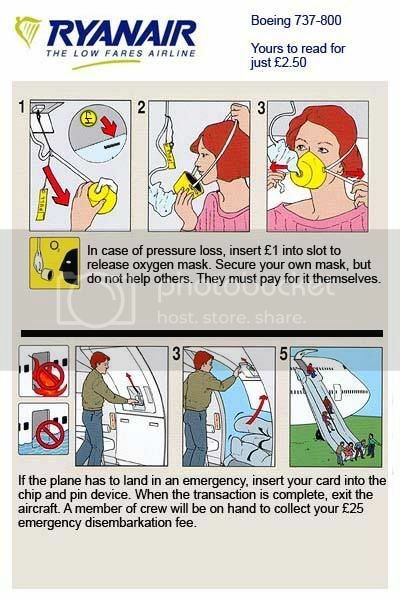 It didn’t take long for the b3ta boards to latch on to the RyanAir fiasco. 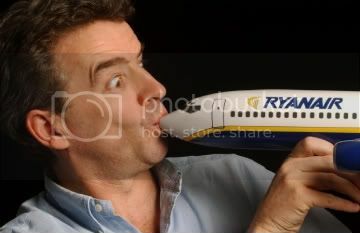 Ryanair – Spending a penny? That will be £1 thank you! Irish budget airline Ryanair has said it is considering charging passengers for using the toilet while flying. Chief executive Michael O’Leary told the BBC that the Dublin-based carrier was looking at maybe installing a “coin slot on the toilet door”. What next? Fitting scales and charging a luggage weight surcharge for the amount you defecate or urinate? Oh well they don’t care what us idiot bloggers think anyway.